We are offering one fire marshal online training course and two fire safety training courses free with every purchase of any Fire Alarm System. This offer is available to anyone purchasing a Fire Alarm System (comprising at least one fire alarm control panel, one detector and one manual call point) and is worth £70! 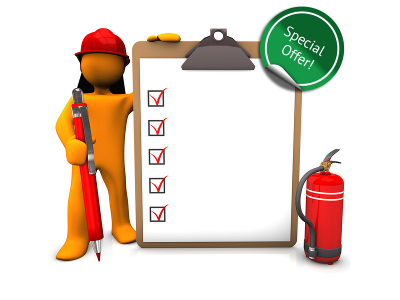 This offer has been put together to help our customers comply with fire safety laws. If you are an employer, owner, landlord or an occupier of business or other non-domestic premises you are responsible for fire safety. By law, you are required under the Fire Safety Order 2005 to provide training for your employees so that they are aware of the seriousness of fire and fire prevention. A Fire Marshal is someone who is responsible for overseeing fire safety. All our online training is video based with the Fire Marshal training in particular designed to give the responsible person the knowledge they need to carry out the duties required of them. Once a qualifying purchase has been made you will be sent instructions on how to redeem the offer.